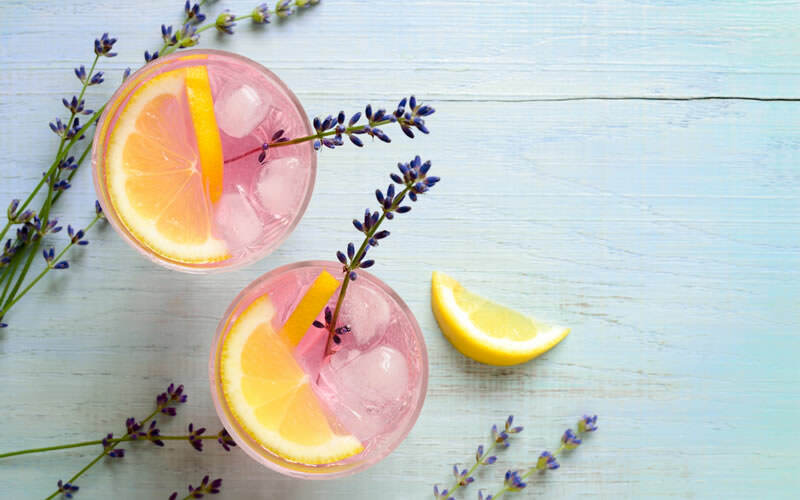 London is the epicenter of the world’s cocktail culture, and no visit is complete without enjoying at least one round of drinks. Which experience to choose, though? The legendary martini cart at Duke’s? The imaginative concoctions at Dandelyan? The trendy bars in Shoreditch? Or how about a pilgrimage to the birthplace of many of the great classics, The American Bar at the Savoy Hotel? Grab a seat in this elegant art deco room and raise a White Lady to the memory of legendary bartenders Ada Coleman and Harry Craddock, who literally wrote the book on drink culture. The British have been in love with South Asian food for centuries – at least since 1600 when the East India Company received its trading charter, and long before 1809 when the first curry house opened in London. Today, there are some 9,000 Indian and Pakistani restaurants throughout the UK, and curry is considered a national dish. 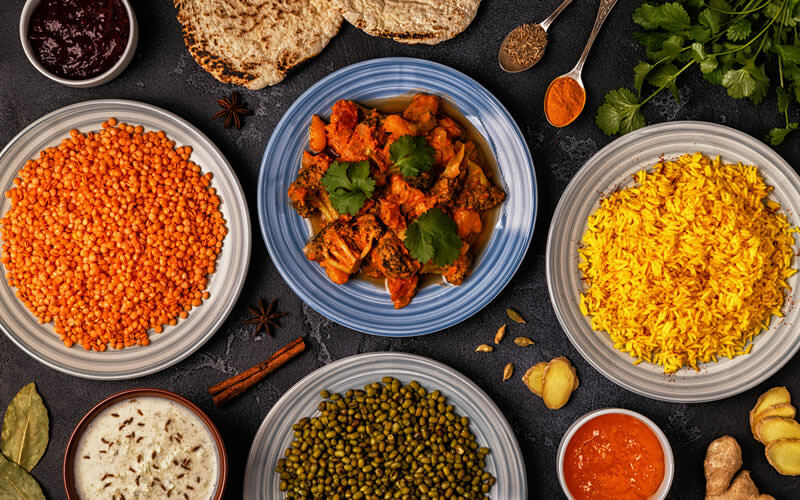 Yorkshire especially is so well-known for its love of curry it has been called “the spiciest county in the UK”, and is home to a celebrated Spice Trail, as well as the World Curry Festival in Bradford. 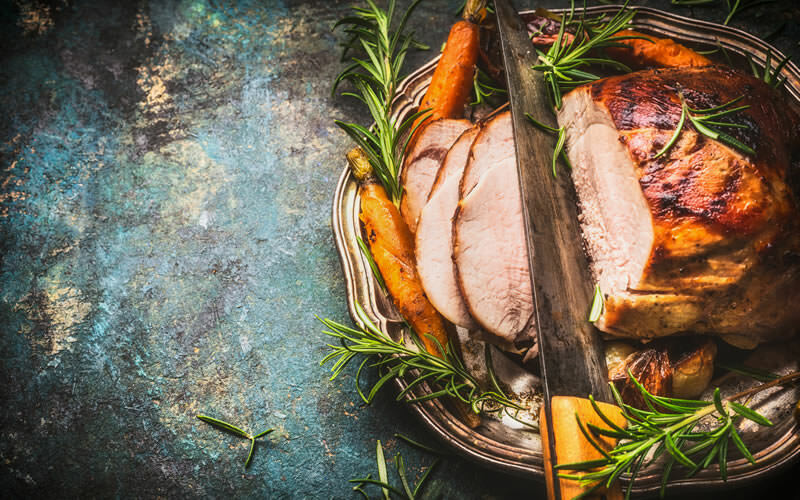 They call it Sunday dinner, but it’s generally served at lunch and is a weekly feast of some sort of roast meat (lamb, chicken, pork, beef or, if you’re lucky, all the above) along with roast veg, mashed potato, lashings of gravy, and Yorkshire pudding – the ultimate masterpiece of British cooking. Sunday dinner is served everywhere from remote Welsh farmhouses to Michelin-starred fine dining restaurants, but is best enjoyed at cozy gastro-pubs like the Bridge Inn near Edinburgh or The Punchbowl Inn in Cumbria. As the writer, Somerset Maugham once said, “To eat well in England you should have breakfast three times a day”. 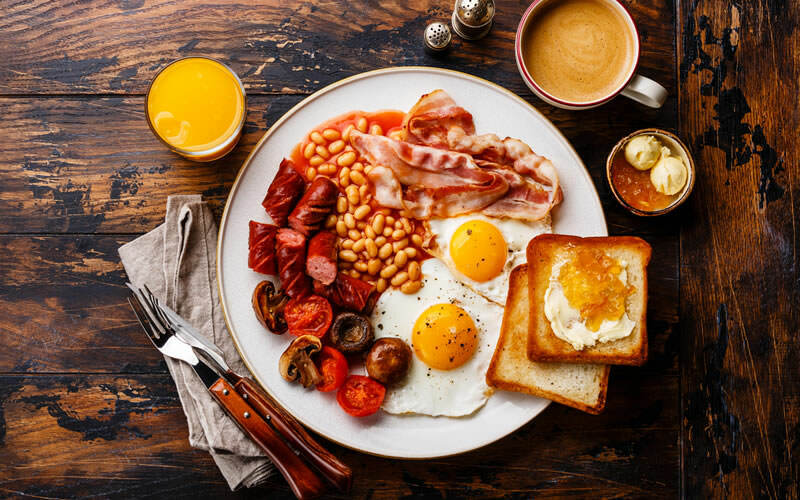 The classic fry-up – eggs, back bacon, sausage, beans, mushrooms, black pudding, grilled tomato and bread, fried or toasted – is available throughout the Isles, everywhere from greasy spoon cafes to posh hotel dining rooms. But the English love their breakfasts so much there’s even an English Breakfast Society, a group of learned scholars dedicated to protecting its heritage. They’ve named Quo Vadis in London’s Soho neighborhood the very best place for your eggs and bacon. In Wales, hospitality seems to demand that someone always urges you to try their baked goods. Whatever you do, say ‘yes’, especially to the two national treasures. 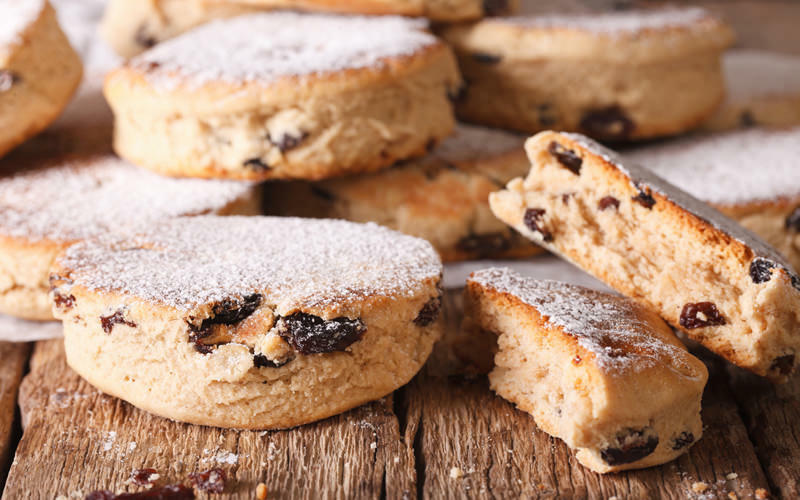 Welsh cakes are a slightly sweet, lightly spiced flatbread traditionally stuffed with currants or raisins and baked on a griddle or bakestone. Bara brith, also known as ‘speckled bread’, is a loaf flavored with tea and spice and packed with dried fruits. Both are best enjoyed slathered with butter at tea time. 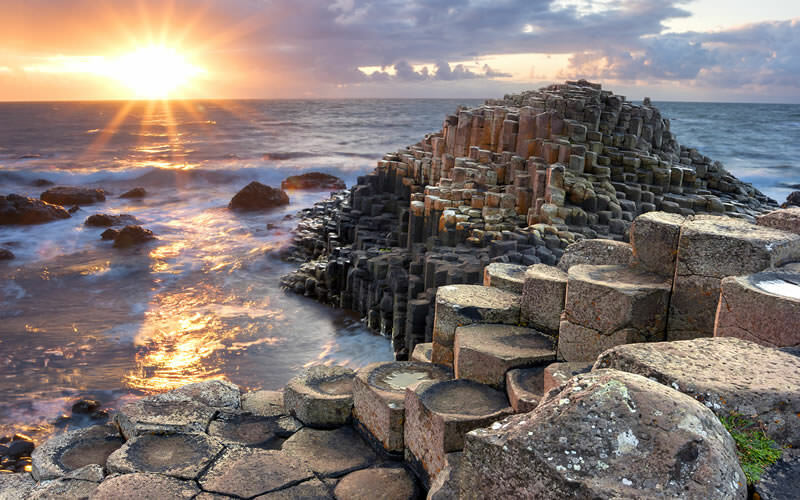 There is much to see and do in what was once the ancient kingdom of Wessex – including Stonehenge and the Jurassic Coast – but the very best reason to visit is the tradition of the cream tea. 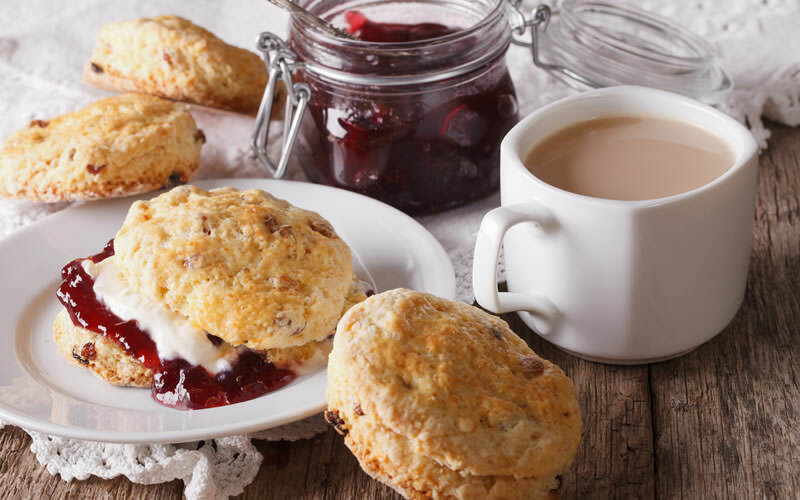 It’s served in cafes and tearooms everywhere, but especially in Devon and Cornwall: a pot of black tea (preferably Earl Grey) and scones topped with raspberry jam and thick, rich clotted cream. One of the most intriguing places to enjoy a cream tea is at Greenway, Agatha Christie’s former holiday home in Torquay, now a National Trust property. Hearty, savory, satisfying. 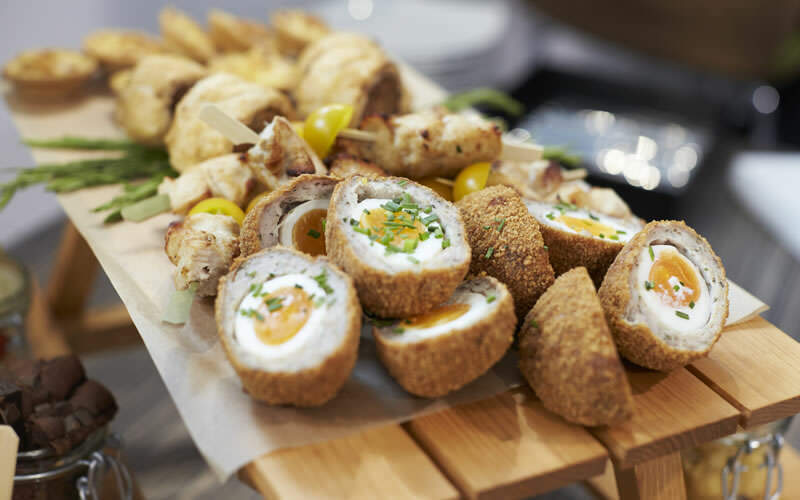 The Scotch egg is the ultimate English snack food: a hard-boiled egg wrapped in sausage meat, coated in bread crumbs and deep-fried. It’s also a bargain for the hungry and broke, which might explain why the university city of Oxford has become a sort of mecca for scotch egg aficionados. The Perch, the Pint Shop, The Royal Blenheim, The Red Lion and The King’s Arms are among the local pubs celebrated for having the best Scotch eggs in the land. The official dish of Scotland is haggis. The unofficial dish? The deep-fried Mars bar: a candy bar dipped in batter then plunged into hot fat for a treat that is crispy on the outside and marvelously melty on the inside. 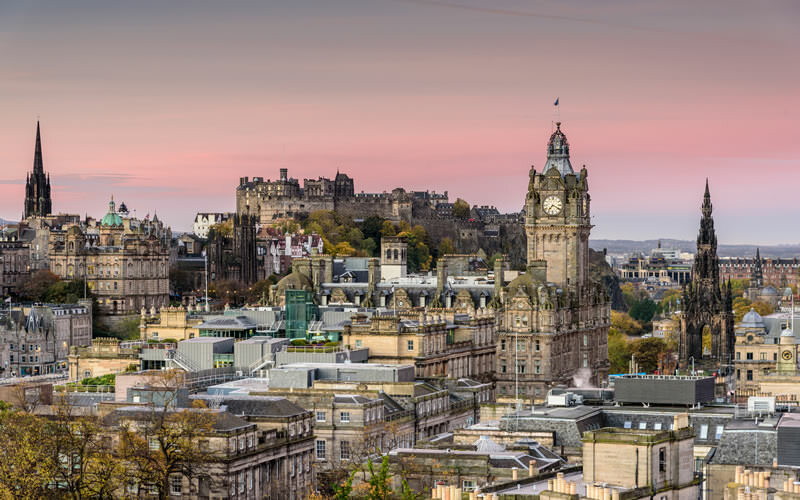 It originated in an Aberdeen chip shop back in 1995, but now is served in chippies everywhere, as well as more upscale places such as The Royal Mile Tavern in Edinburgh. Of course, you can enjoy plenty of other deep-fried treats, too, ranging from fish to pakoras, and even pizza. Think of Ireland and likely you think of potatoes, but it’s shellfish that’s the true culinary star on an island surround by cold, pure, briny waters. There are, of course, the cockles and mussels made famous in the song about sweet Molly Malone, who wheeled a barrow of shellfish through Dublin crying “alive, alive-oh,” but there are also clams in Connemara, prawns in Dublin Bay and gloriously sweet, plump oysters on the west coast, celebrated at the annual Galway International Oyster and Seafood Festival. Sweet or savory, the pie has been enjoyed here since the Romans made Britannia their home. Some of the favorites include steak and kidney, chicken and leek, fish pie, and the classic pork pie made with hot water crust. There is even the handheld Cornish meat pie called a ‘pasty’. 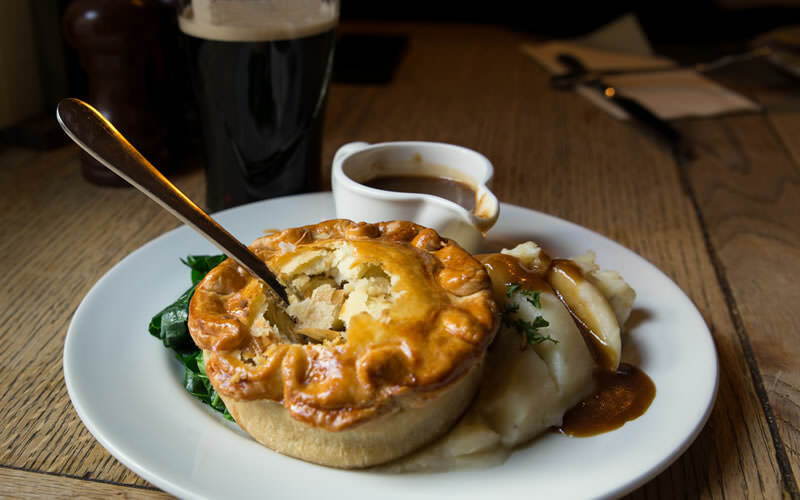 Since 2007, an annual national Pie Week has been held in March, and a recent study found that while the nation’s favorite pie overall was steak and ale, the north prefer pie savory (steak and potato), and the south would rather it be sweet (banoffee).